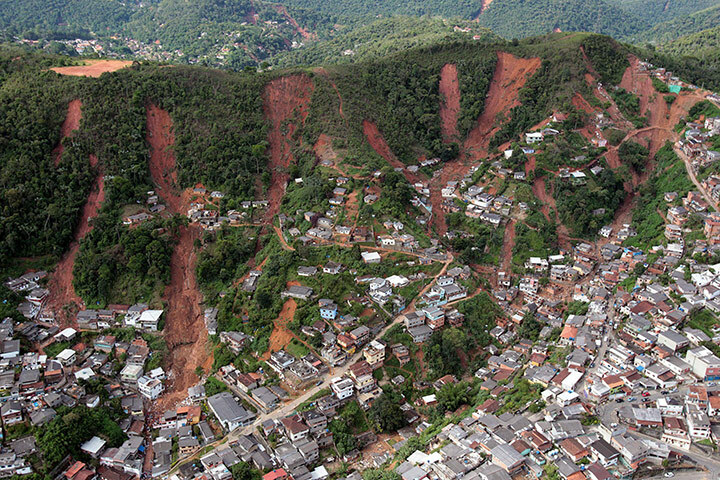 In January 2011, torrential rain-storms triggered muslides in the mountainous Serrana region outside Rio de Jnaerio. It was recorded the worst natural disaster in the history of Brazil. 916 people were killed and 345 were missing. The recorded economic loss was about £187 million.